Cummins has acquired Johnson Matthewy’s UK automotive battery systems business, with plans to collaborate on the development of high-energy battery materials for commercial heavy-duty electric vehicle applications. The acquisition and collaboration agreement will allow Cummins to expand its electrification and energy storage capabilities. Johnson Matthey will focus on developing high-energy battery materials, including its enhanced lithium nickel oxide (eLNO) product, for transport applications. The companies intend to collaborate on the development of new products with enhanced performance characteristics for commercial applications, relying on the expertise of each company. This most recent move comes on the heels of Cummins’ acquisition of Brammo in October of last year. Brammo designs and develops low-voltage battery packs for mobile and stationary applications. 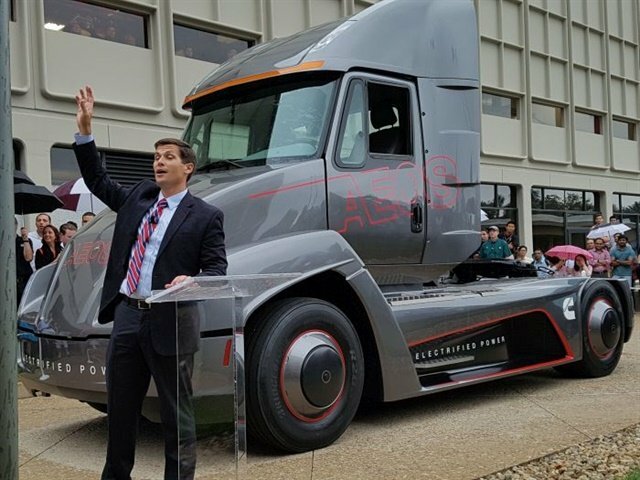 The company will continue to explore other opportunities to add electrification capabilities as it prepares to offer electrified powertrains to customers in 2019. “The addition of Johnson Matthey Battery Systems’ technical expertise and customer base in markets that are more rapidly adopting electrification further positions us as a global energy storage supplier,” said Linebarger.